Yakamoz is a WordPress theme suitable for personal blog, magazine, news, life, food, fashion and any kind of website you might think of. Parallax header background allows you to select a background image that fits to the topic of your website and to select a suitable font. Thanks to its meticulous coding and easy-to-use theme panel, even users who doesn’t have any WordPress experience and doesn’t have programming knowledge can easily modify the theme. 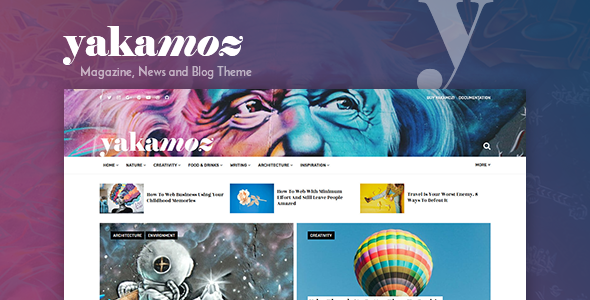 Yakamoz is a clean, stylish, flashy and functional WordPress theme. Do not hesitate to ask questions and request! We answer your questions within 2 business days. Your problems and desires are invaluable for us to strengthen our theme.